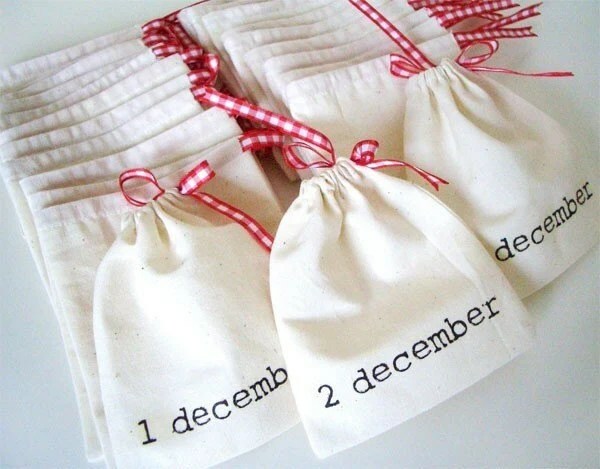 Five Things: Advent Calendars | Keeps Me Out Of Mischief! Yes, I know it’s only October but Christmas is fast approaching and if you want to make things you need to get on with it! Here’s some beauties that I need to choose between! 1. I saw this on sew, mama, sew a while back. She wrote the post as a ‘Christmas in July’ feature; suddenly my preparing for Christmas in October doesn’t seem so bad! 2. Make-it-do sells the pattern for this design, but I’m pretty sure you could work it out. Don’t think I’d make the numbers so curly! I think I’d use the stencils I used for my handmade card. They’d be far easier to cut out! 3. Pickles has these cute fabric cones which is ok if you can hang them up high enough for the kiddies to not peek in them! 4. Nuvonova has these for sale on etsy. Such a simple idea but so effective. 5. 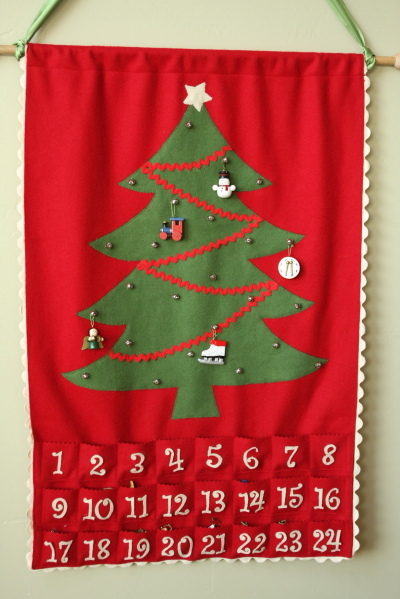 Purlbee has this embroidered felt calendar which looks great; the colours are great for those who get a bit fed up with red and green at Christmas! If you liked this have a look at these other Five Thing Fridays! Those are going to be some tough choices!! I love them! I think the last one is my favorite though and you are totally right – I’ve already been starting Christmas stuff because by the time December comes around my plate gets way too full!